A few weeks ago my photography crew and I visited the Arc en Ciel produce distribution centre in Toronto's west end. 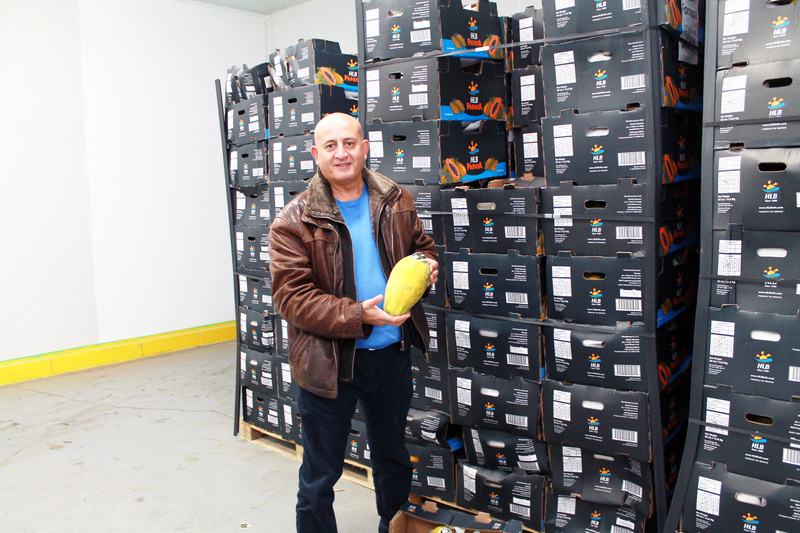 Owner Sam Hak invited us in to tour the facility and learn about how exotic fruits are sourced. Farming processes, the quality of the food we eat, and the good food movement are hot topics right now so we were eager to learn more about our produce straight from the source. What struck us most was the level of pride they take in what they do. As Sam walked us through the facility we noticed that the place was entirely white and metal, and surgically clean. 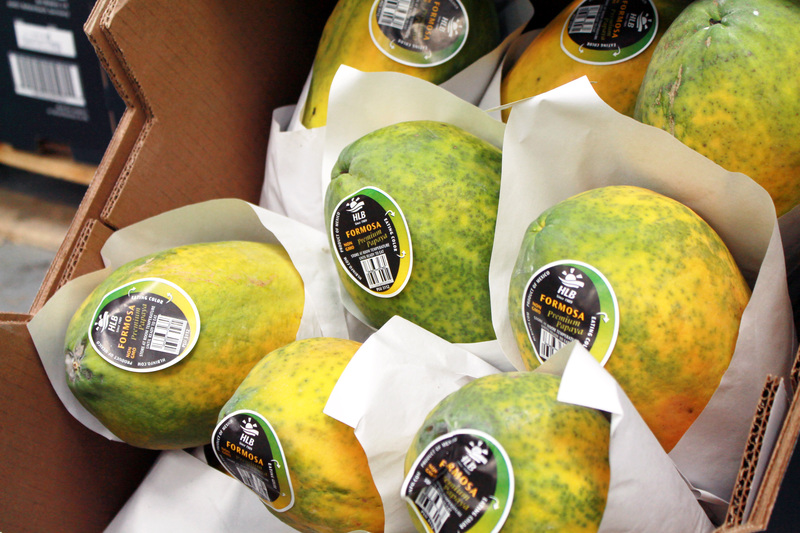 We saw a room of papayas ripening at precisely the right temperature, a stack of sugar cane freshly cut and sealed. By the office there was some construction happening. Sam is adding a brand new hand-washing room to ensure handling is sterile and all food is bacteria-free. And bacteria, we came to understand, is a major focus for their operation. Sam goes to great lengths to ensure there is no bacterial contamination in the food we eat. If an import shipment arrives with any dirt, it's sent right back. Soil bacteria travels quickly and could cause sickness. You know the mesh bags of avocados, oranges, and lemons you see at the grocery store? Those are bagged to reduce how many times the fruit is touched by the consumer. All it takes is one sick person to sort through the lemon bin to spread germs and potentially transmit illness. This way you can just grab a bag and throw it in your cart. 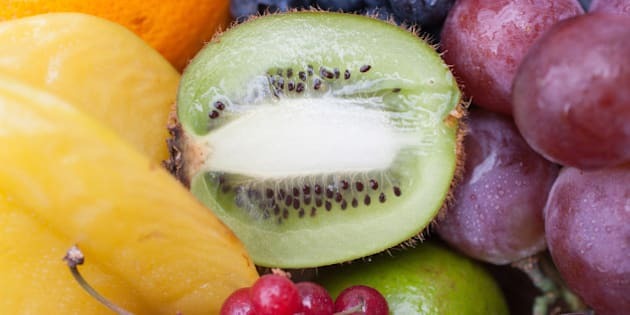 We talked openly about some issues with our food system, specifically how North American consumers prefer perfect-looking produce which means unripened, and therefore fewer nutrients. We all lamented this, recognizing that if we saw a display of spotty bananas in the grocery store most of them would be thought "rotten" and go to waste. To overcome this we need a cultural shift in how we consume produce and what we value more; appearance or nutrition. It was interesting to learn how Toronto's multiculturalism affects what Sam sources. He started out selling limes and ginger, and now he has his own farms in Costa Rica that regularly supply papayas and other produce. Since his imports are exotic varieties they cannot be grown locally. He showed us a crate of a root-like vegetable, taro, that's popular among the Chinese community. And he brings in other vegetables and fruits specifically for occasions like Chinese New Year. He constantly assesses the needs of the community to source the foods that are common in different cultural cuisines. The most interesting thing we learned is that Sam came to Canada from Syria in his youth and began this business in 1992 after working in a distribution centre himself. He spoke several languages but taught himself English after moving to Toronto from Montreal. His first trade was limes, then began diversifying into ginger and eventually other exotic produce. He now has his own farms and sources produce from around the world. He even joked about the time an order came in from South Africa and the farmer had filled the crates with rocks, one of the many challenges he faced when starting his own business. Now Sam is using his success to give back. He showed us an addition he's building that will hold a food market specifically for restaurant owners and chefs. Ordering from the food terminal is often costly and requires large minimum orders which is a strain for restaurateurs. Arc en Ciel will be offering a variety of produce at affordable prices with lower minimums that are more reasonable for small businesses. Sam hopes that in doing this he can help his local community prosper. On our way home from the tour we were left with a sense of appreciation for where our food comes from and the work that goes into sourcing the ingredients that are readily available to us every day. The next time I buy a papaya in winter I won't just throw it in my cart and move on, I'll take a second to thank our local importers for even making the action possible.